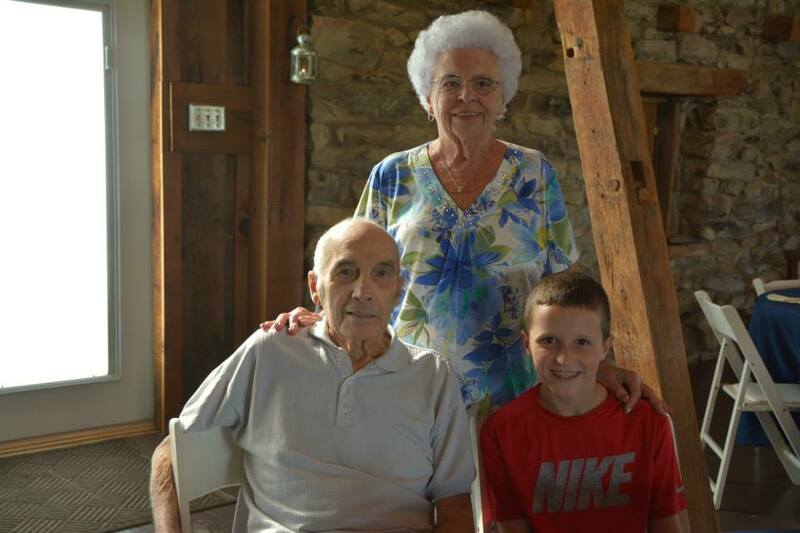 On this morning of September 11th I write to you about a person from the “Greatest Generation” who has been a rock in my life and the life of my family. As I sat by his hospital bed last night, where he has been on the precipice of eternity since last Friday, it came to me that he was among the major providers and foundational characters in my life. I speak of 89-year-old Clarence Wolfe (known to us growing up as Uncle Junior) who has had a tremendous impact on us as they say “from little on up”. The year 2015 brought to him many physical trials which culminated in a perfect storm of ailments attacking all of his bodily systems at one time. 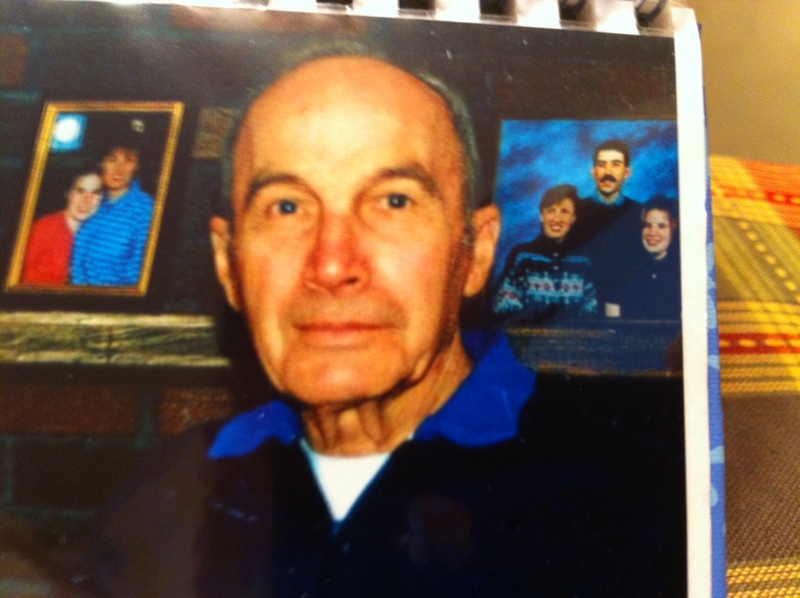 Clarence was born in 1926 and grew up in the World War II era. His father’s name was Clarence, hence the nickname “Junior”. He joined the Navy when he was old enough and served two years at sea on a destroyer which protected carriers from attacking enemy planes. 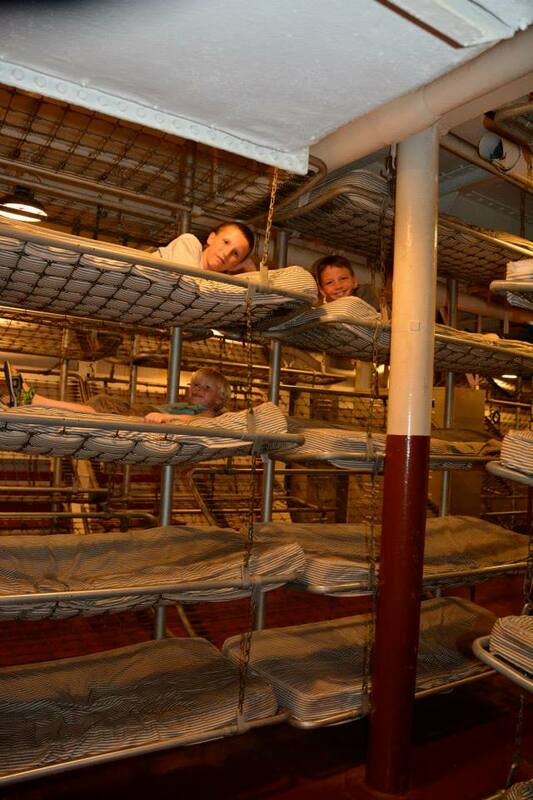 My family recently toured the USS North Carolina (my grandsons are pictured in the ships bunk beds below) and I realized it took a special person to be able to live in the belly of a big ship like that sometimes going days without seeing the sun. Those men were made of granite. 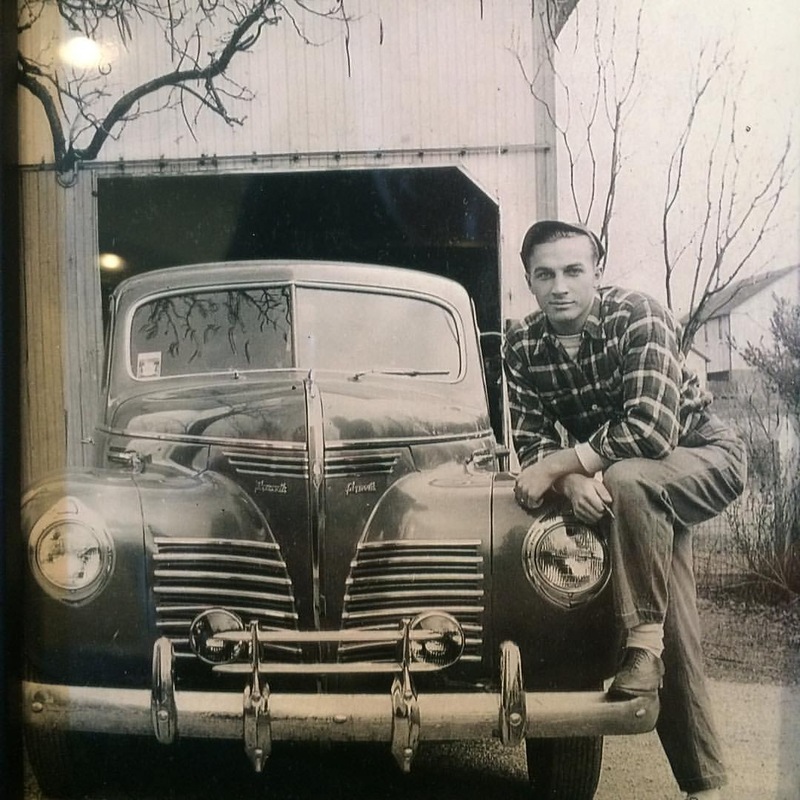 As I shared in my blog “Bud’s Beginning” my family got off to a rocky start and due to circumstances, some not of his own making, my father disappeared from our family’s life when I was in elementary school. My Uncle Junior (my dad’s little brother) and his wife Janie having no children of their own often came to our home with food and money and clothes to help my mom raise us Wolfe boys. We grew to know that they could be depended upon and time and time again they were providers for us. When our mom had a nervous breakdown we each were taken in by different relatives and my twin brother Bruce lived with Uncle Junior and Janie. They called him “Brucey” and I think even today they still consider him their adopted son. As a young parent I went to Uncle Junior to ask him to co-sign a loan so we could buy a mobile home. He suggested rather that he had a “friend” who would be willing to loan the money to us for much less interest and a lower payment than the bank could offer so we took him up on the deal. The identity of the “friend” was never revealed but in my heart I knew it just had to be him. When my Great Grandfather Allen Wolfe died (the country store keeper) Junior and Janie provided for his wife Grandma Kate by placing a mobile home on their property in which she lived the rest of her life. We came to know her as “grandma trailer” since at the time we had four living grandmas and it was just easier to differentiate her that way. Oh the happy times we had with Grandma Trailer and with Uncle Junior looking on as we drove his riding lawn mower (sometimes over his flowering bushes) and played pool in his basement. His last public event was my retirement party a couple of weeks ago (pictured above with wife Janie and our grandson Braden) and miraculously he was able to attend where he got to see many of his Wolfe relatives and all of my seven grandkids. His wife said he really enjoyed himself and was so glad he could make it. Uncle Junior was a great example for us, a solid citizen, a caring provider and a father to the fatherless. Our world needs more men just like him. So I sat alone at his bedside approaching the end of visiting hours holding his hand and I told him how much I appreciated his impact on my life, how that he had been my rock. I told him it was ok to go home to be with the Lord and to rejoice there with all our relatives gone on before him. I told him we’ll look out for Aunt Janie like you did for us. See you over there my friend. The day I wrote this blog, September 11, 2015, my Uncle Junior went to be with the Lord. Next > Feed the White Dog! Sounds like the Lord sent to your family a man to “stand in the gap” (Ezek. 22:30). What a great blessing to have.